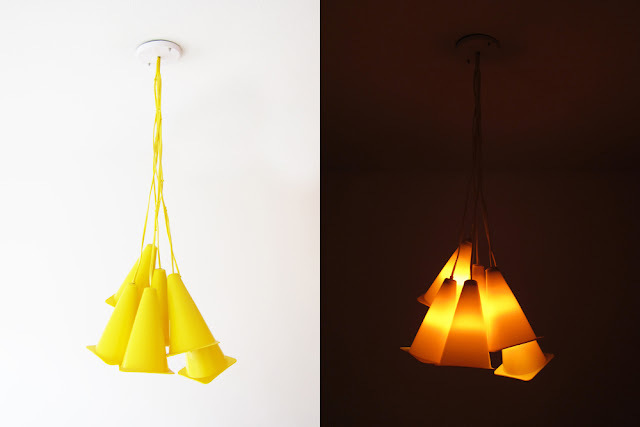 Cone lamp is a prototype made from ordinary materials that brings an outsider element: a small yellow rubber traffic cone. Despite being simple in its concept, the lamp making brought us some challenges, like the unavailability of yellow PP cable in São Paulo (go figure!). 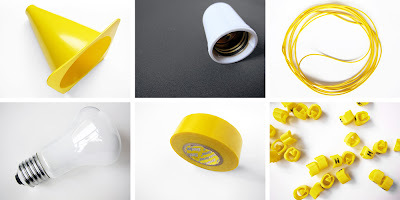 Our way out was to use simple yellow wires and get them together with heat shrink tubing. The attention to detail is denoted by the small cable label markers with the authors’ initials.